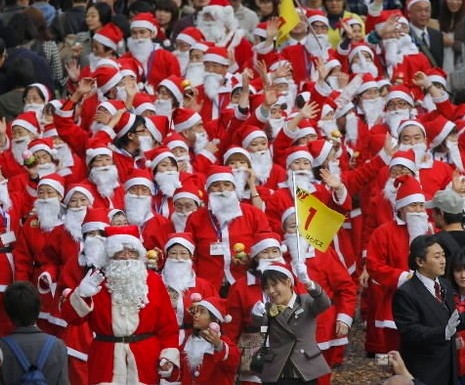 Despite the fact that less than 1% of the population are Christian, Christmas has become quite popular in Japan. Christmas trees are placed in the home, corporations like to decorate public places with Christmas lights, and people exchange Christmas cards and gifts. The Christmas celebrations are secular rather than religious, and it becomes an excuse to share happiness and good cheer. Among young couples, Christmas Eve is celebrated as a kind of Valentine's Day. Gifts are exchanged and it is often hard to book in fancy restaurants. 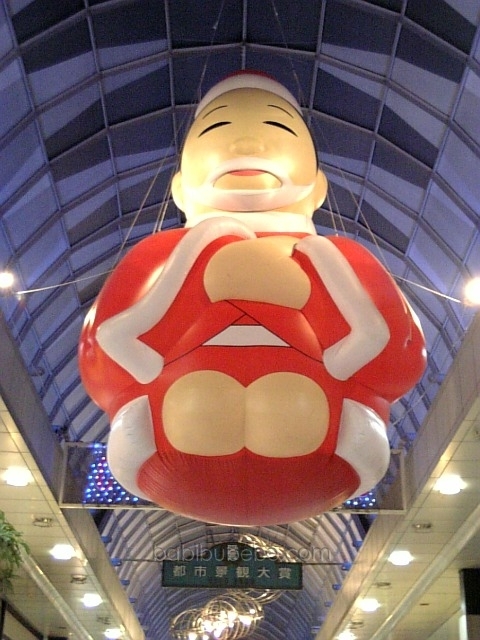 Christmas Day is celebrated by everyone, however. 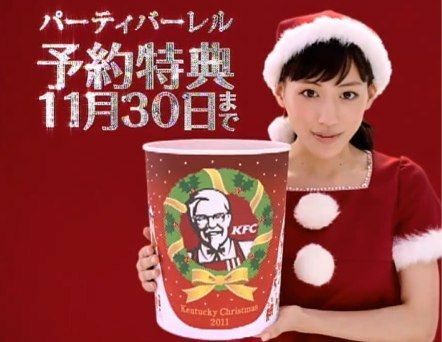 Due to a successful advertising campaign in the 1970's, it has become a Christmas Day tradition to eat at Kentucky Fried Chicken (although another fast food chicken joint will do in a pinch). You have to make reservations months in advance for this. If you can't make reservations to dine in, you can at least call ahead and make reservations to pick up. 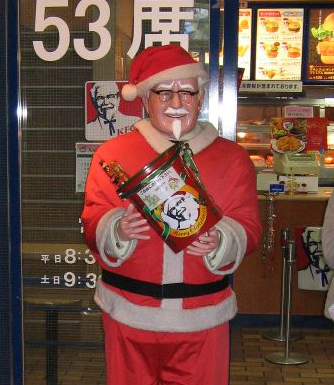 Colonel Sander is kind of a popular culture cult figure in Japan. 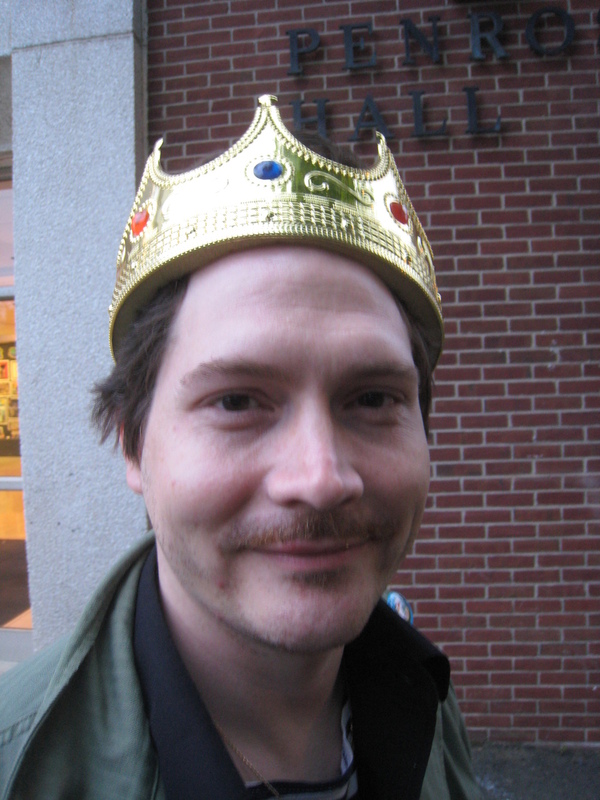 Statues of him decorate almost all Kentucky Fried Chicken restaurants. 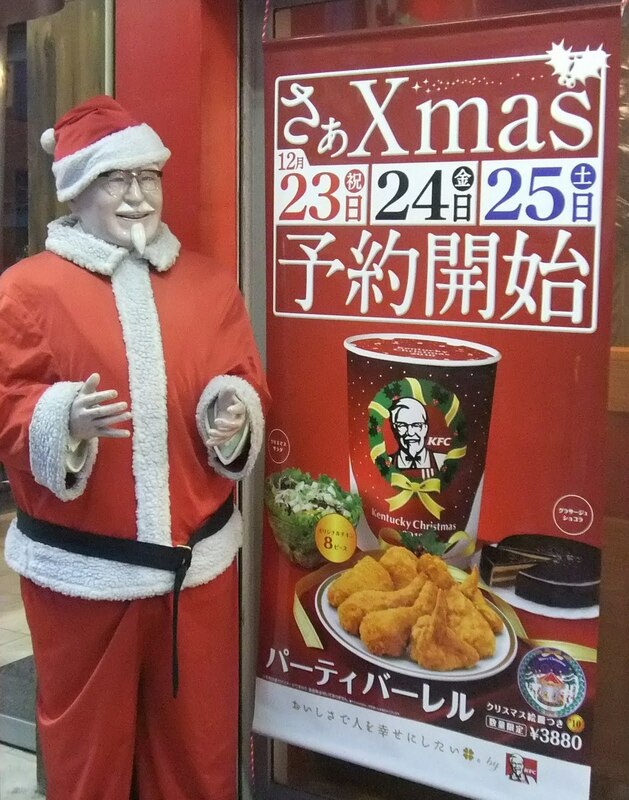 Often the owners will decorate their Colonel Sanders statue in costumes reflecting holidays and special events.